Why would I need self storage in Concord, NC? There are a variety of reasons why you might need self-storage in Concord, NC. How much is a storage unit in Concord, NC? The cheapest storage unit in Concord, NC is $48.00 per month. What size storage units do you have available in Concord, NC? In Concord, NC we have sizes that range from 5'x10' to 20'x20' to suit your storage needs. How much is it for a 5'x10' storage unit in Concord, NC? The cheapest 5'x10' storage unit in Concord, NC is $55.00 per month. Concord is a flourishing North Carolina city located just outside of Charlotte and is part of the state's Piedmont region. It's among the largest cities in the Charlotte metro area, and its economy has been ranked as one of the fastest-growing in the nation. Concord is only about 20 miles from Charlotte's city center but also has plenty to offer within its own city limits, including the state's top shopping mall and Charlotte Motor Speedway. According to local history, the area around Concord was first established by a young man who decided to settle in the region now known as Cabarrus County. The Scots-Irish settler found luck in North Carolina, so he called upon his fellow countrymen to join him. A few years later, German immigrants settled the eastern half of the county. The rural population continued to grow for several decades. Cotton had become a significant source of income for residents in the Concord area, so a few entrepreneurs decided to build a factory. Unfortunately, the factory was not a success. However, it did create the foundation for a new textile industry. The local textile industry was able to thrive thanks to affordable raw materials and easy access to a railroad, which made it possible to ship products around the country. A thriving, diverse economy has played a large part in Concord's success over the years, with the city nurturing many industries, including manufacturing, banking, transportation and shipping. 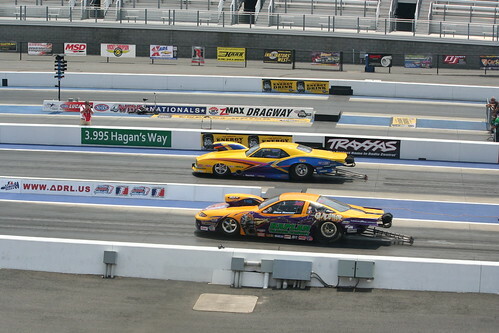 The motorsports industry is a major presence in Concord as well. Several professional racing teams call the city home, as do a NASCAR research and development office, Charlotte Motor Speedway and several motorsports-related businesses. Concord Malls, North Carolina's top shopping destination, provides a steady flow of retail jobs in Concord. There are about 200 different businesses operating in the mall's 1.4 million square feet, and it's bordered by a main road that houses a number of restaurants, hotels and car dealerships. This bustling area is a good place to start if you're planning to look for a job in hospitality, retail or food service. In addition to retail and motorsports, there are several other industries offering good job prospects. Concord's major employers include Carolinas Healthcare System, Cabarrus County Schools, Cabarrus County Government and the City of Concord. Public schools in Concord are under the jurisdiction of the Cabarrus County School District. You can also choose from the many private schools in the area, which include both faith-based and secular options. There are a few small colleges in Concord as well. If you're planning to pursue higher education, your local options include Rowan-Cabarrus Community College, Cabarrus College of Health Sciences and Barber-Scotia College. Utilities: The city facilitates electricity, water and sewer services. If your home has natural gas, your provider will be PSNC Energy. Garbage and Recycling: In most residential areas of Concord, you can expect trash, recycling and yard waste collection once per week (usually all items are collected on the same day). Transportation: Rider is the Concord Kannapolis Transit System bus program, operating several routes throughout the city and neighboring Kannapolis. Most real estate in Concord consists of single-family houses, but there are some multi-family buildings as well. Concord's median home price is on par with the national average and is more affordable than that of its neighboring city of Charlotte. For this reason, many people choose the budget-friendly Concord as a home base and commute to Charlotte for work or play. Our lowest priced units in Concord, NC average $62.25 per month. 173 people have reserved units in Concord, NC in the past 30 days. There are 4 locations within Concord, NC's city limits. There are 2 locations in Concord, NC that offer AC and Heating features.